Have you forgotten your ATM PIN? Would like to get new ATM PIN from your bank. Your bank manager may then probably ask you to write a request letter for getting new PIN. In case, you don't know how to start writing a letter, then the sample format of letter given below will be of more useful to you. 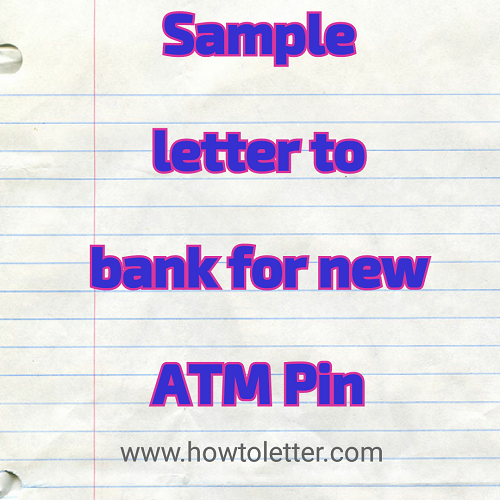 Take a reference of this letter and submit a request letter written beautifully to the bank manager in order to receive new ATM PIN. ATM PIN is one of the code that you should always remember for financial transaction especially through ATM machine. ATM stands for Automatic Teller Machine. It is always better to use unforgettable PIN number at your convenient. Suppose if you happen to forget it, then the only solution is to approach your bank and asking for a new PIN. New PIN will not be given unless you submit a request letter. 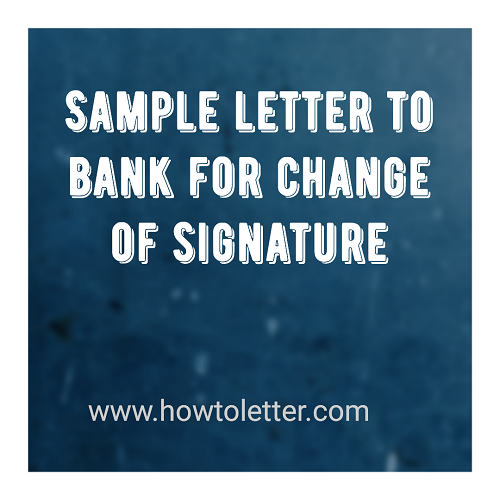 Following is the request letter format which can be used for writing a letter to your bank. Sub: Requesting to get new ATM PIN. I am your customer with SB account number _________________ (Write your full digit account number). Few days back, it went not accessible as I have forgotten my ATM PIN. I am facing difficulty in getting cash from ATM through my debit card. I don't know how I forget. Through this letter, I kindly request you to mail me new ATM PIN to the address provided above or give me it in my hand now if possible. Thanking you! Note: The personnel details provided above are not belonging to anybody. Readers are advised to use their personnel details while writing a letter like this. Would like to know your transaction details through SMS? You should then have activated SMS alert service from the Bank to which your account is associated. If you don't have SMS alert service enabled, then you should inform your bank through a request letter to activate the same. Why do you need SMS alert service? Most of us don't care about the filling SMS alert details in the application form while account opening or you bank hadn't this SMS service when you opening the account. Whatever may the reason, the SMS alert service is very important in the present scenario. In what ways it may be helpful? For example, if some one sends you money, then you can get an SMS alert that your the money is credited to your account. This will avoid unnecessary checking of your balance through ATM or bank statement. So you saves time and effort. For advanced users, it may help more. For example, if you want to use the bank android app for IMPS / NEFT transaction, you need to register your mobile number for the sake of authenticity. It will help you do online transaction easily. Hence If you don't have such facility yet, then it is the time for you to update your mobile number for activating SMS alert service from the bank. Use the letter format provided below to write a request letter and submit it the bank manager for the service enabled as soon as possible. 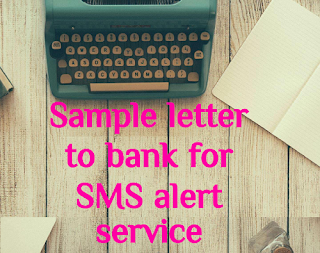 How to write letter to bank for SMS alert service? I am hereby submitting this letter to inform you that I have not associated my mobile number with the SB account here. I want to get the SMS alert service now. So I am requesting you to provide this facility so that I can do various online transaction / get updates related to my bank account activity. Please give the service enabled as soon as possible for this number _______________ (Write your 10 digit mobile number). Note: The address and other details given above does not exist. They are used only for the purpose of writing this letter. You are requested to replace them with your own. Thanks for reading. If you have any doubt regarding this SMS service request letter format, you can ask us in the comment section provided below. Have you changed your signature recently? 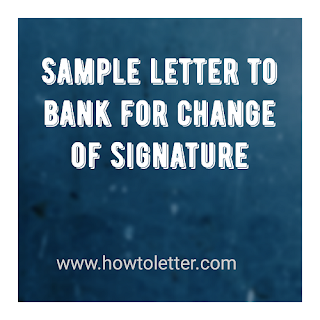 Want to update your signature in bank account that you have? You must then approach your bank manager and submit a request letter to update your signature in the bank account record. You can use the following letter format to draft a beautiful request letter. Sub: Request letter to update my signature in my SB account. I am one of the customer in your bank since last 7 years. I have recently changed my signature due to my personnel reason. I am here inform you that my old signature is no longer valid and I would like to update my new signature for upcoming transactions. Hence I kindly request you to immediately update my signature in the KYC record. Note to visitors: The address and other personnel details given above are used for the sake of writing this sample letter to help you. You should replace all those details with yours.